If you’re an affiliate marketer and you are using WordPress, you are in luck. There are hundreds of WordPress plugins for affiliate marketers that can dramatically boost your affiliate sales. These plugins can help you to drive more traffic and get more engagement. Thus it will increase your conversion rates drastically. In this post, I’ll show the 15 Best WordPress Affiliate Marketing Plugins that will help you make more money and take your blog to the next level. Thrive Architect is the WordPress plugin that every affiliate marketer should use. You can create beautiful blog posts and landing pages using Thrive Architect that will help you increase your engagement as well as sales. Here’s what you can do with Thrive Architect to increase your sales. You can create stunning tables to showcase a list of products/services. You can use exit-intent popups to turn abandoning visits into sales. There are so many other features for affiliate marketers like pricing tables, guarantee boxes, lead generation forms, animated countdown timers, etc. In a nutshell, Thrive Architect can really help you step up your affiliate marketing game and increase your engagement, conversions, and sales. We, affiliate marketers, have to deal with a lot of affiliate links. And it’s not easy to manage those affiliate links. But like everything, we can also use a plugin to manage affiliate links. And ThirstyAffiliates is the best plugin for that job. It’s also one of the best link cloaking plugins for WordPress. If you are not sure what link cloaking is, here an example. The main purpose of link cloaking is to make your ugly affiliate links look pretty and SEO Friendly. And it also allows you to change an affiliate link without editing the blog post. But that’s not it. This plugin has some other features that will help you to increase your affiliate sales. You can provide keywords while cloaking the link and it’ll automatically link those keywords with your affiliate links. This feature alone can help you skyrocket your affiliate sales. Other features that make this plugin a must-have is an automatic 404 fixer to find broken links. The best thing about ThirstyAffiliates is that it makes little things very simple. And it is proven by the features such as you can no-follow all affiliate links and also force them to open in a new tab. If you promote Amazon products, then you’re going to love ThirstyAffiliates even more. Why? Because the plugin lets you import Amazon API and search for products and include affiliate links directly. The more you use ThirstyAffiliates, the more you’ll start loving it. You can schedule your affiliate links to be active for a certain time and then they’ll be deactivated automatically after the specified time period. This is really helpful during seasonal deals like Black Friday, Cyber Monday, etc. Ultimately, if you’re running an affiliate site, you need ThirstyAffiliates on your website. Everyone loves coupons & deals and that’s why coupon or deal related posts convert like crazy. If you share coupons or deals on your site, you are going to love “WP Coupon & Deals” plugin. This is probably the best coupon plugin for WordPress. You can display coupon codes on your blog posts in many visually appealing ways. This plugin can quickly increase your conversions as you can hide coupon codes from visitors. Features like click to copy coupon code make the plugin great for user experience and also helps you generate more affiliate sales. There’s a built-in shortcode inserter that you can use to insert coupons directly in your posts and pages. The plugin costs $29 yearly for a single-site license. If you run multiple sites, you can get the 5 site license which costs $99 or you can choose the unlimited site license for $199. There’s a 14-day free trial which means that if you’re not convinced with the plugin, you can get a refund. While Thrive Architect does let you add a review box on your blog posts, that’s not enough to show star ratings in Google Search. To show star ratings, you need to use a schema markup plugin like WP Review Pro. It’s the best review plugin on the market right now. With this plugin, you can review products, games, books, movies, and what not. There are a total of 14 rich snippets supported by this plugin. It also comes with 16 predefined styles for review boxes which allows you to add beautiful review boxes in your posts. You can customize them according to your website’s style. There are multiple rating systems such as stat, number, and point to create great reviews and increase your affiliate income. On top of this, users can give ratings and comments to their products thus adding more social proof to the products you’re promoting thus resulting in more conversions. 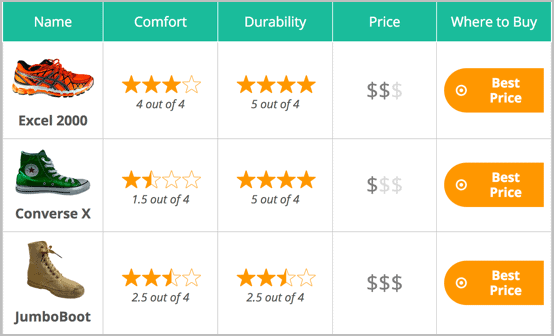 Lastly, the plugin also offers a comparison table so that you can compare multiple products. 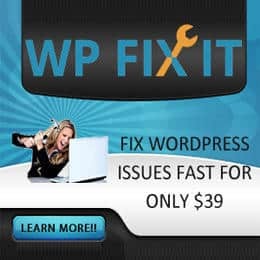 WP Review Pro costs $67 and is loaded with features that will help you increase your engagement and get more affiliate sales. Growing your email list as an affiliate marketer is crucial for generating huge revenues. And, Thrive Leads is the ultimate list building plugin for WordPress. You can create landing pages, and different types of opt-in forms to grow your email list. But that’s not it. Thrive Leads lets you take list building to the next level with advanced targeting, A/B testing, and detailed reports. 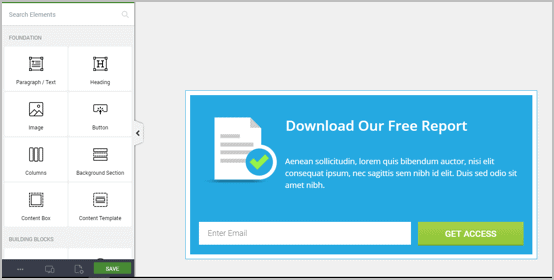 There are pre-designed templates that you can use to create beautiful opt-in forms. But, creating your own opt-in form is also very simple because of their intuitive drag-and-drop builder. But what if you don’t want to build an email list? 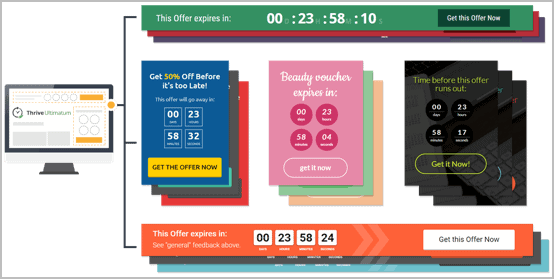 Still, Thrive Leads is a great plugin as you can use these pop-ups to show affiliate offers and grab the reader’s attention easily. Thrive Leads costs $67 for a single-site and $97 for 5-sites. If you wish to use it on more sites, you can get their 15-site plan for $147. If want to display affiliate offers and deals to your readers, then this plugin is what you need. The best thing is, you can show a specific bar on a specific post. 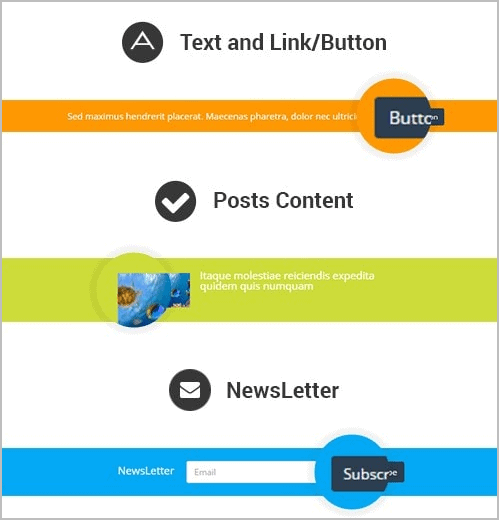 WP Notification Bar is a WordPress plugin that lets you display a sleek notification bar your website. You can use this bar to display text with buttons, posts, email form, and even a countdown timer. And, if you feel that your readers might feel a notification bar annoying, this plugin lets them choose between hiding the notification bar or closing it completely. Either way, WP Notification Bar is probably the best way to show quick offers and deal alerts. 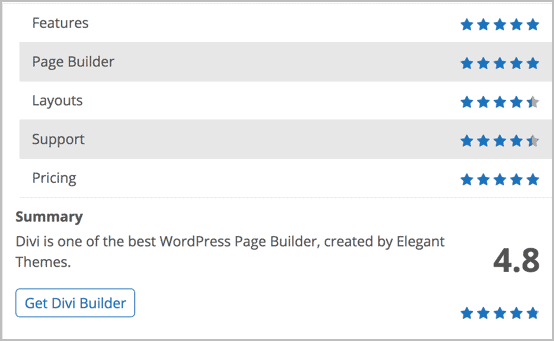 The plugin offers features like A/B testing, notification bar priority, and more to help you make the most out of it. The plugin comes with tons of customizations both in terms of design and functionality to give you complete control over how your readers see your notifications. The plugin is SEO optimized, responsive, and really affordable. At a price of $19, this is a great deal for affiliate marketers who want to display offers to their audience. This is the plugin that Amazon affiliate marketers love to use. And, it’s because how much EasyAzon can do for you. In simple words, EasyAzon makes the life of an Amazon affiliate marketer very simple. How? Well, you can easily create affiliate links for the products you want to promote on your website. But that’s not it. You can earn affiliate commission from international sales too as EasyAzon will automatically display the affiliate link based on the location of the visitor. Now, that’s a big deal! You can also enable product popups to attract more affiliate clicks which could eventually result in affiliate sales. Your website visitors can automatically add products to their shopping cart which means you have an extra 89 days to get a commission. And, do you know what’s the best part? EasyAzon only costs $47 and you can use it on unlimited personal websites. The developer license costs $67 and lets you use the plugin on unlimited personal and client sites. When you compare a product with other products, the chances of conversion increases significantly. And what’s a better way to compare products other than using tables? Ninja Tables is a WordPress table plugin that lets you create tables easily. The plugin makes the whole process seamless as you can easily drag-and-drop to rearrange data. You can also add media to your tables to make it look visually appealing. There are advanced settings to let you customize the way your table looks. Ninja Tables is blazing fast and responsive so you don’t have to worry about your website’s speed. You can get the single-site license of Ninja Tables for $29 and 20-site license for $69. As an affiliate marketer, this plugin will really help you create product comparison tables and increase your affiliate sales. This is the third Thrive Themes plugin in this list which shows how awesome all Thrive Themes products really are. And, Thrive Ultimatum will help you skyrocket your affiliate commissions with scarcity marketing. You can create fixed date campaigns to promote products. This is perfect if you want to promote limited-time deals and offers on your website. You can create stunning forms and opt-ins helping you convert visitors easily. The 1-site license of Thrive Ultimatum costs $97. You can also get the 5-site or the 15-site license which costs $147 and $399 respectively. 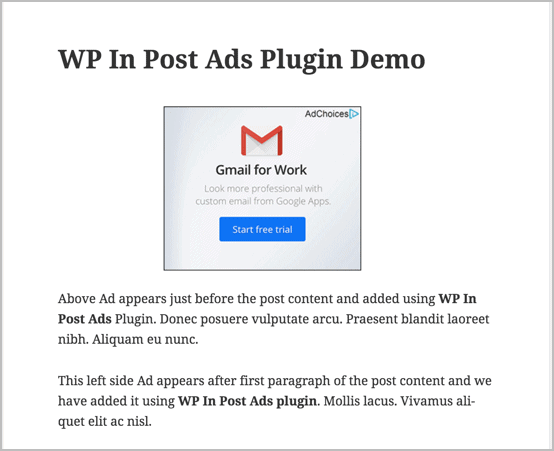 If you’re earning affiliate commissions by displaying ads on your website, you should definitely start using WP In Post Ads. 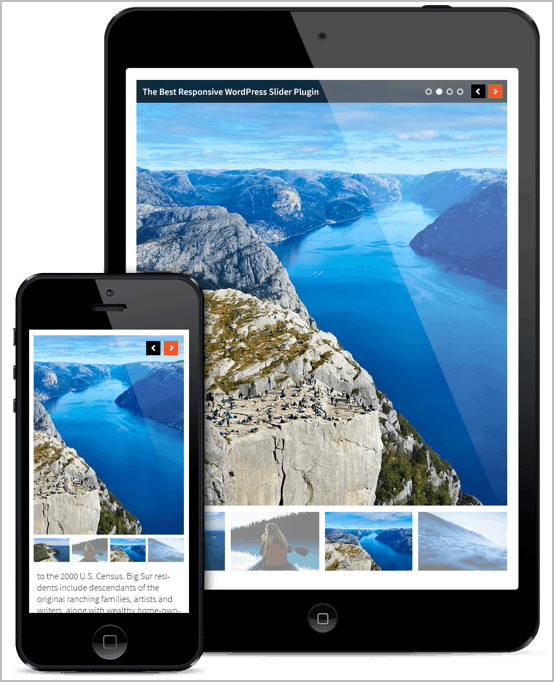 This WordPress plugin lets you display ads in your posts and your whole website. But that’s just the tip of the iceberg. You can also split test ads, reposition them, count views, and show or hide them. The plugin lets you show ads after the post title, at the bottom of the post, or in between of the content. WP In Post Ads also lets you show ads using shortcodes. You can choose to display ads randomly and with the options to control ads for individual posts, you can do a lot more. The plugin is priced at only $19 which makes it perfect for those who want to display ads on their website and make money from affiliate marketing. If you’re an affiliate marketer, you already know that you should nofollow your affiliate links. And, it’s really a pain to go through HTML editor to add a nofollow tag on a link. Ultimate Nofollow WordPress plugin solves this problem as it allows you to add nofollow tag while using WordPress editor. It’s a must-have SEO plugin. There’s also nofollow checkbox when you insert a link giving you the ability to nofollow all the links that you’ll be adding to your website. The plugin is free and really handy when it comes to making your affiliate links nofollow. Here’s another Thrive Themes WordPress plugin to help you boost your affiliate income. With Thrive Clever Widget plugin, you can optimize your widgets for conversion easily. Using this plugin, you can show highly relevant content to your visitors in your widget areas increasing the chances of conversion. As an affiliate marketer, you can use this plugin to show relevant affiliate offers which will help you convert easily and earn more commissions. The plugin costs $39 for a single license and $47 for the 5-site license. You can also get the 15-site license which costs $97. While EasyAzon is a great plugin to directly add affiliate links of Amazon products, Amazon Affiliate WordPress Plugin helps you display Amazon products on your website. You can add text links, product boxes, bestseller lists, new releases lists, and more on your website using this plugin. This will help you increase your affiliate sales for your Amazon affiliate site. The plugin has prebuilt styles that allow you to display products beautifully on your website. The plugin costs $45 for a single site license. You can also get their higher plans if you wish to use the plugin on multiple sites. What’s a slider plugin doing in a list of best affiliate plugins for WordPress? Well, you can use Soliloquy Slider plugin to create beautiful sliders of your products and generate affiliate sales. 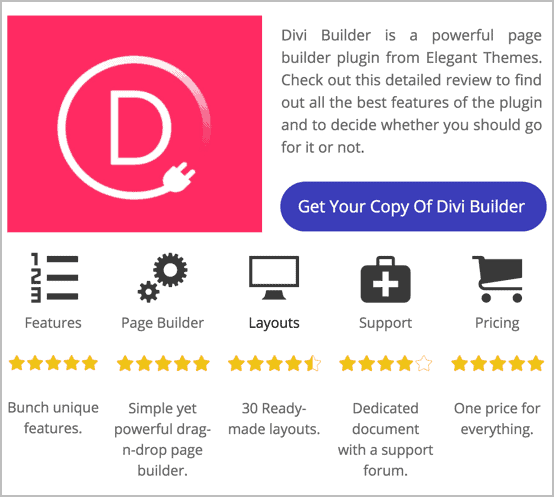 This plugin comes with a drag-and-drop builder which makes it very simple to use. There are slider templates that you can use to create sliders quickly. Features like fullscreen lightbox, dynamic sliders, and slider scheduling make the plugin more awesome. Soliloquy Slider costs only $19 for use on 1 site. Thrive Quiz Builder is a WordPress plugin by Thrive Themes that lets you create quizzes that convert like crazy. You can create engaging quizzes without writing any code. These quizzes can help you understand your audience and then you can convert them to your email list or give them product recommendations. This is a great way to generate affiliate sales as you are not only engaging your audience but also offering them relevant content. The single site license of Thrive Quiz Builder costs $67 while the 5 site license cost $97. You can also get the 15 site license for $147. So, these are the 15 best WordPress affiliate plugins for affiliate marketers. These plugins can help you get more affiliate sales. If you have any suggestion for this list or have any questions about the plugins mentioned in this list, feel free to comment below.